Would you like to get the answer to a question? Google it. Want to get homework solutions? Chegg it. In this world of Google, Stack Overflow, and Chegg, we have become accustomed to instant gratification and immediate access to solutions to all of our problems. We have almost forgotten the joy (and necessity) of being able to struggle and figure things out on our own. Worse, students may actually penalize professors who make them think! No wonder more and more students want “easy A” classes as evident by comments on websites like RatemyProfessors.com that is geared towards answering questions such as, “How hard is the professor?”, “How much work would be to get an A?”, “Is the attendance mandatory in this class?”, and “Are exams hard?” You would have to search long and hard to find a single student comment that addresses what one can learn from the professor or the course! However, students may not be the entire problem. And neither are the professors who often make their classes intellectually challenging. And who go the extra mile by creating questions that students cannot google answers to, but unfortunately, they are greeted with low student evaluations of teaching (SETs) since they made their students think! Many professors would be okay receiving low teaching evaluations once, or maybe twice. But after that, many faculties consider simply giving students what they want. Especially when promotion and tenure review committees penalize professors with low evaluations. Not to mention that research has shown that there is zero correlation between student learning and student evaluations of teaching​ yet most universities have not changed the way they evaluate effective teaching. Students may not change choosing professors with easy A’s over professors who make their classes intellectually challenging. So, who do you think, then, ends up changing their behavior? If that was not difficult enough, teaching evaluations are biased against women. In a study, students gave better evaluations to the same instructor, when they thought they were male as opposed to them being female. And this is not the first time it has been shown just how unreliable these evaluations have been. Not only are these evaluations harming well-meaning professors, but they are making students expect easy classes with not much work and struggle to achieve the almighty A. We are “educating” an entire generation to expect that one does not have to struggle and work hard to get what they want in life. We are giving students an easy way out and then blaming them for picking the easy way! Lastly, the concept of providing students a survey at the end of the course with over 90% questions requiring students to recall information over the course of the entire term is flawed. Human’s ability to recall information significantly degrades after a 48-hour period and here students are asked to recall information over a period of 3 – 4 months that would be used for personnel and promotion decisions where students’ comments are not only biased, potentially misleading, and have been shown to have zero correlation with their learning​! It seems that we can and should do better. We, at Mesh Education, are using lecture audio to determine the level of classroom engagement. Not only is this hard data, but is also tracked for every lecture and ultimately is not biased student opinions. Let data inform decisions. Not opinions. We are looking for universities and professors who see a reason for change and want to join us in our mission to change how Teaching Effectiveness is measured. 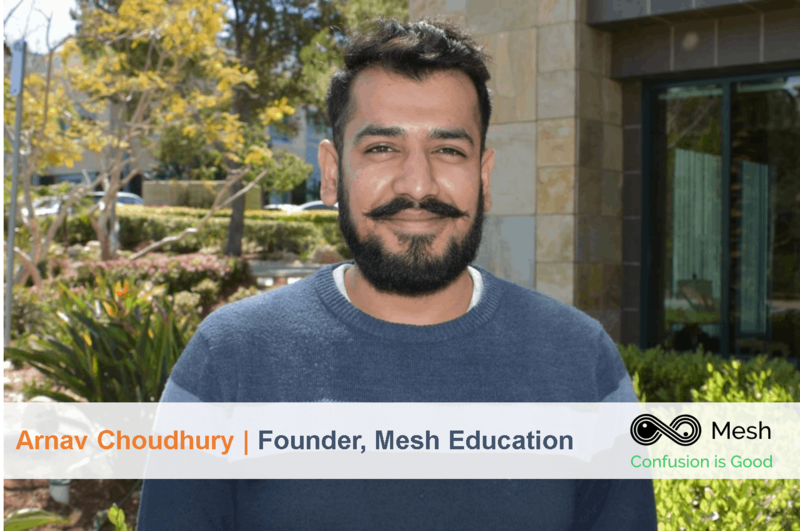 Reach out at contact@meshedu.org for potential collaboration.